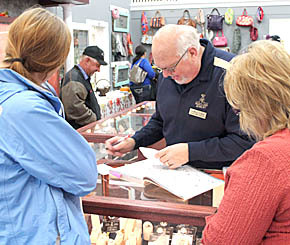 Amy’s Flower Basket and Heartland Jewelry held grand openings at their new location in the former Moyer’s building, 354 West Main Street. At the same time, Albion ThriftyWay held its annual wine and spirits tasting event next door at 334 West Main. An estimated 250 people attended.